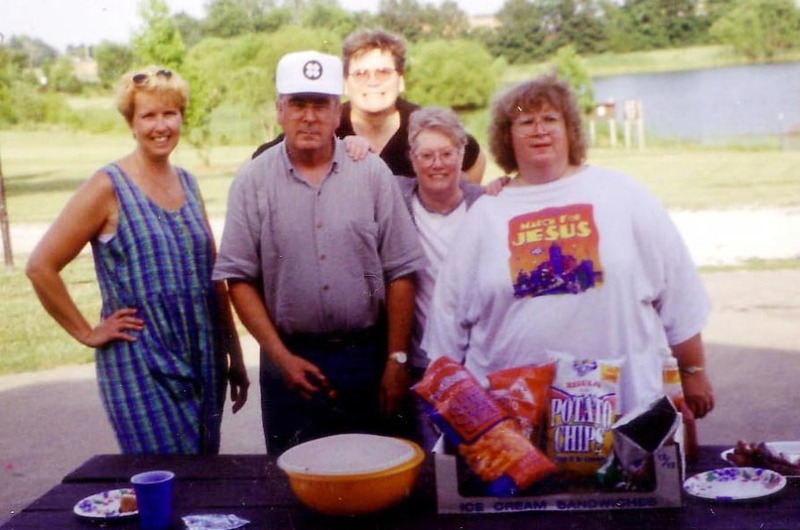 In case you wondered, that’s me in the white t-shirt and I was there for the food! From my earliest memories, I lived to eat. Today, I eat to live. Ten years ago I felt I would never be able to say that. For years my weight loss journey could be characterized as a quest to discover the easiest, best, quickest way to lose the mountain of flesh that had somehow attached itself to my body. I tried many diets. Many of them I would have success with until I stopped and went back to the same way I’d always eaten. Then I’d fail again miserably and go back down the road to weight gain. Each time I did this I gained more weight than I lost, putting me behind in the weight loss game rather than ahead. Finally I vowed to accept myself like I was—fat and all. I rationalized it would be better than the yo-yo I was putting my body through. I knew God had power to fix me. I just didn’t understand why He didn’t take my problem away and let me eat normal like everyone else. Why did I have to be the one who seemed to gain weight just by looking at hot rolls, cakes and cookies? Although that seems ludicrous to think that you gain weight just by looking at food, photos of our favorite foods set up cues that make us want that food. Consider beautiful photos of luscious foods in your favorite magazine. Obviously, you can’t smell the food, but just looking at it makes your mouth water. The saliva rush tells your brain food is coming. When it doesn’t come your brain orders your body, go get the food! The next thing you know you’re surveying your cabinets for ingredients to make that or something similar. Going to an event that has some of those foods, even if you’ve vowed not to indulge will set up an even greater desire to eat them. You can see them and now you can smell them. You start salivating even more because you not only see them, you smell them which singles your body to eat that food! Basically, you’re toast. You’ll probably indulge unless you’ve thought ahead and brought an alternative or made a contingency plan. I am far enough along on this journey to not even want sugary, bready foods any more. I know they will make me feel sick and bloated. However, I still wouldn’t knowingly put myself in the way of temptation. For instance, I wouldn’t go to a dessert cooking class. I wouldn’t go to fun day of cookie baking and packaging homemade cookie to exchange. I wouldn’t volunteer to make homemade cookies for any event. Any situation where I am exposed to temptation for long periods of time would be like hiring an alcoholic to be a bar tender. It might last for a while, but eventually the close proximity and easy access to something you’ve had a struggle with for years would win out. Today I make choices about what I eat, what I do, what I look at and where I go based on what’s best for me health-wise. I don’t apologize for my addiction. I don’t shy away from saying no for my health. Those who knew me when I weighed 430 pounds understand why. Those who don’t still appreciate my stand regarding food that fuels me, rather than entertains me. For most extremely overweight people, food has become their main source of entertainment. Television is something many use as a pastime, but going out to eat, being invited over a friend’s house for supper, going to a big family reunion and gathering, even going to a church carry-in dinner is something we look forward to. It doesn’t happen every day, so that’s why it’s become what we do to have fun. What should we do tonight? Let’s go out for pizza. Let’s get ice cream. Let’s eat at a nice restaurant and have a full course dinner, including dessert. When I began this journey, I realized that was my ONLY source of fun. Anything I did for entertainment included that. Dinner and a movie. Popcorn and television. Meeting a friend for dessert. Having a breakfast catch-up time. Soon, I was living for what, when and where I could eat the most luscious food. If you wanted me to come to any meeting or event, just have great food. I would put it on my calendar and make sure to show up. Food was the bait. I admit, it’s not easy changing over 50 years of habits. Part of this occurred because my extended family had the world’s best cooks. We enjoyed eating together. My grandmother enjoyed cooking for her family and having everyibe together round her long dining room table. Love became enmeshed with food. Once that happened, I had to have food because I had to have love to survive. And while it’s true I must eat to survive, I did not have to eat as much as I did or the types of foods I did. This also is habit and training. It’s the way I’ve always eaten. It’s my culture. What I grew up with, the special touches my grandma put in the food. So when I would say, “I can’t live without a certain food,” it was because without that food I felt I wouldn’t want to live. Although I never consciously said this or wrote it down and looked at it, the truth was I didn’t want to live if I could never again bake and eat Mamaw’s oatmeal cake or any sweet and gooey dessert. Those things had become the reason I was alive. Family dinners are this great time to catch up and reconnect. However, if the food rather than the people are all we are interested in, we have missed the point. Eating to live doesn’t mean we don’t enjoy our food or our time with friends and family. What it means is we don’t center our enjoyment around the types and amounts of food we eat. It took me a long time to get to the place where I think more about what my body needs to fuel me for the day, rather than what I want to eat. When I ate processed sugar and gluten, my view of food was skewed to be the reason for living. 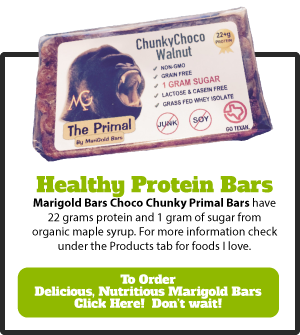 Without ingesting these types of high carbohydrate foods, I can make better choices. I can be in control of what I eat, rather than the food being in control of me. Don’t get me wrong, I still enjoy going out to eat. I still enjoy what I’m eating. I just don’t make it my reason for living. At your next family celebration, try to incorporate some fun things to do rather than focusing on what you are eating. Try family game night. Make a craft together. Go to a play, concert or movie. Go to the zoo or park. Run or walk a 5K. Hike. Ride bikes. Swim. Fish. Hunt. Ask questions. Talk about your day. Read a book and share what you learned. There is so much more to life than food. It’s about time to find out what that is. 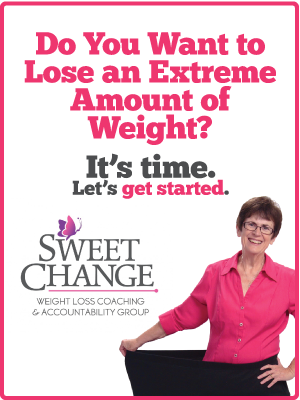 Come join us at Sweet Change Weight Loss Coaching and Accountability Group and find out what more there is to life than food. 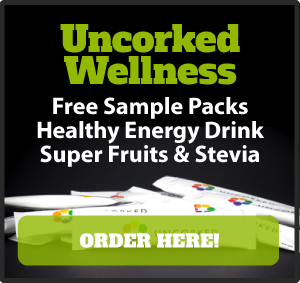 A new month is just starting and you will get in on all that we do. You are worth the investment of your time and effort. As your coach and mentor, I will help you on your journey. 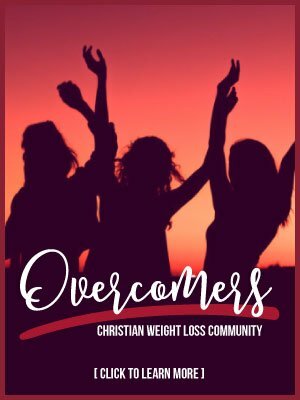 Others in the group will lift up your arms and encourage you as you encourage them. It is a safe place, a life-changing place. I spent thousands of dollars on diet programs and product when I was morbidly obese. Please consider what your life is worth and join us on the journey. 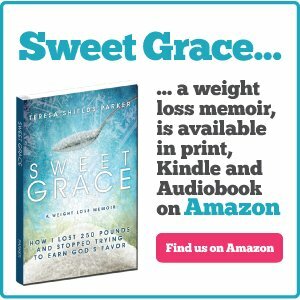 Don’t forget to check out Sweet Grace: How I Lost 250 Pounds and Stopped Trying to Earn God’s Favor and the Sweet Grace Study Guide, both available on Amazon. 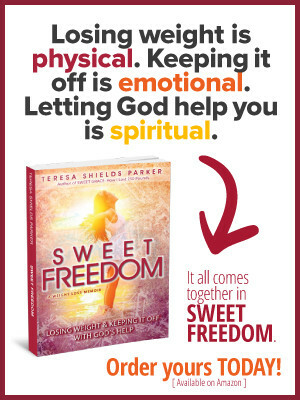 Just click the Sweet Change group title or the book titles to take you to the links. Catherine, I’ve lived this. I know it is an issue for others. My compassion runs deep for those who are caught where I was. I so want people to know there is a way out. 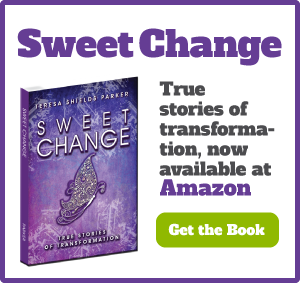 It’s the main reason I developed Sweet Change Weight Loss Coaching and Accountability Group to give people a place to go to get direction on the journey of their life.